Rai Com S.p.A. (hereinafter Rai Com) organises the International Cross-Media and Children’s Television Festival, Cartoons on the Bay (hereinafter Cartoons on the Bay or the Festival) to support and showcase the current landscape, developments and new trends in the sector of media and entertainment dedicated to children. The 23rd edition of Cartoons on the Bay – 2019 will take place from 11 to 13 April 2019 in Turin; the Festival is promoted by RAI-Radiotelevisione italiana S.p.A. (hereinafter RAI) and organised by Rai Com. The Artistic Director has absolute discretion to choose the members of both the Editorial Committee and the Juries, who, at their sole discretion, shall carry out the duties and activities within their remits with respect to the work selection and the prize winners; s/he shall hand out any other prizes envisaged in these Regulations in accordance with the procedures laid down herein. 1) Participation is restricted to animated works from any country produced during the years 2017, 2018 and 2019. 2) Entering works for Cartoons on the Bay is free and requires online registration of the work on the www.cartoonsbay.rai.it website in the Competition section during the period from 18 October 2018 until 4 February 2019 and the sending of the relevant materials to the Festival Offices within the deadlines and according to the methods stipulated in these Regulations. It should be understood that the www.cartoonsbay.rai.it website may indicate any extensions for the registration and/or sending of materials; it is not possible to withdraw a registered work after the final deadline for registration. 3) Only works in English or with English subtitles will be admitted to the competition (except for works where there is no dialogue). 4) The sending of the materials is the exclusive responsibility of the party which registers the work; materials sent to the Festival Offices will not be returned; the use of these materials, including the relevant content, for the purposes of the Festival, is to be understood as free of charge; therefore, no fees of any kind are envisaged for such use. 5) Works already registered for previous editions of the Festival will not be considered, except for subsequent seasons of Television Series and works previously entered for another category which have undergone different developments (it is the responsibility of the participant to indicate this when registering the work). Works that have already been candidates in the past in the In-Competition (Nomination) section may only enter the Official Selection in the Out-Of-Competition (International Showcase) section and, in such cases, it is the responsibility of the participant to indicate this when registering the work. 6) Registering a work does not guarantee an Accreditation for the Festival. Accreditations may be requested free of charge from the Festival website. 7) It should be understood that the party who registers the work is exclusively responsible for the work’s registration for and participation in the Festival; the said party shall indemnify and guarantee the organisers and promoters of the Festival in relation to any claim and/or dispute raised by third parties in this regard. 8) In the event that reasons of a technical or organisational nature should prevent, in full or in part, the Festival from being carried out according to the procedures and within the time frames laid down in these Regulations, Rai Com shall take the appropriate steps by providing notification through the www.cartoonsbay.rai.it website, which will also contain all information and updates concerning the Festival. 9) Any requests for clarifications or further information may be sent to the Festival Offices by e-mail to the address cartoonsbay@rai.it, or through the official Facebook page of the Festival, once established. The Official Selection includes the In-Competition (Nomination) and Out-Of-Competition (International Showcase) works; in both sections, the works are subdivided by Category of Competition. 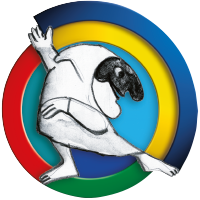 In-Competition (Nomination) works are candidates for the Pulcinella Awards, given during the Festival by the International Jury. A maximum of 5 works may be entered for each category in this section (except for the Feature Films category, where the number of Nomination works may vary, at the discretion of the Artistic Director). the option for the owners of the work to use the wording and/or logo of the Festival (and/or, for prize winners, the title of the prize awarded) in their promotional activities according to the procedures stipulated on the www.cartoonsbay.rai.it website. The Festival reserves the right to vary the visibility given to the works based on the organisational requirements of the specific edition. Out-Of-Competition (International Showcase) works provide an overview of cultural, technological and industrial trends in the sector in the various geographical areas of the planet, with a particular focus on the most innovative projects. free entry of the work into the Festival’s Digital Video Library, which may be viewed by all professionals at the event (the Video Library service will be active for the full duration of the Festival). The Festival reserves the right to move a work into a different category after registration, when it sees fit. – Only one episode is requested for each TV series, to be chosen by the proposing company. – For series which last for less than 1 minute, three episodes should be sent. – Pilots and zero episodes of animated TV series must be registered in the TV Series Pilots category. This category includes all Interactive Multimedia Works produced for fixed and mobile consoles that satisfy the following PEGI (Pan European Game Information) classification requirements: PEGI 3, PEGI 7, PEGI 12, PEGI 16. However, at the absolute discretion of the Artistic Director, in agreement with the Pre-Selection Jury, works with a PEGI 18 classification may also be admitted to the competition. This category includes all television series for children produced exclusively or partly with live footage. Pilots and zero episodes of animated TV series which represent an exhaustive narrative summary with the technical, artistic and content-related characteristics of the series which the creators intend to develop must be registered in the TV Series Pilots category and not the other categories subdivided by target audience. Special Prize for the Best Social Work, chosen from among all the in-competition categories. In order to enrol for the Festival, the work must be registered online, at the www.cartoonsbay.rai.it website in the “Competition” section no later than 4 February 2019 (the site may indicate extensions for registration). At the end of the registration procedure, a confirmation e-mail will be sent; if you do not receive an e-mail, please contact the Festival Offices at entry.cartoonsbay@rai.it. The participant will receive a further, subsequent e-mail (which will be sent on average one week after completion of the first phase). This will contain a username and password (credentials) to access the portal at https://fileportal.rai.it and complete the next phase. These credentials are strictly personal. If you do not receive this e-mail, please contact us at the following address: operations.delivery@rai.it. With specific reference to the Interactive Multimedia Works category, in addition to the foregoing, a copy of the game for each platform available (in the version on the market) must be sent. With specific reference to the Feature Films category, after pre-selection, only the participants selected for the Competition will be asked to send (at their own expense) the film in its entirety, in English or with English subtitles, in DCP format with CRU, unencrypted or with KDM open for the entire duration of the Festival. The KDM must be sent by e-mail, with the subject line containing the English title of the work and the “registration number” (Web ID) given at the end of the registration procedure (e.g. 121_ANNE’S ADVENTURES), to the following address operations.delivery@rai.it; the film must not have a watermark; failure to send the work will result in its exclusion from the competition. The characteristics indicated above must be verified thoroughly before the sending of the materials. Materials sent to the Festival will not be returned. In the case of material that is incomplete or does not comply with the requirements indicated above, the Festival reserves the right to exclude the work from the selection process. Should the material sent be, for any reason, incomplete, different from the specifications indicated in these Regulations, damaged and/or unreadable, the work will not be considered registered for the Competition, unless the participant, acting on instructions from the Festival organisers, takes steps to remedy this. Therefore, the greatest care should be exercised when wrapping, packaging and shipping the materials. It should be understood that the candidate is responsible for the successful uploading of the files or the arrival of any materials sent through the post; therefore, for digital submissions, it is recommended that a suitable connection be used, with a bandwidth no lower than 20 Mbs. The Festival shall report the results of the Official Selection process online in the specific section of the www.cartoonsbay.rai.it website (or, alternatively, an e-mail may be sent to the proposing party). For In-Competition (Nomination) works, the sending of further material may be requested (including multimedia files). authorises use of the work – and all relevant materials and information supplied to the Festival at the time of registration (inter alia: trailers, digital videos, photos, materials and miscellaneous data/information) – for information and marketing materials produced in relation to the Festival (and subsequent editions), e.g. in bilingual publications (ITA / ENG) concerning the Festival; to this end, the materials of the work may be translated and/or redesigned, including as regards length, depending on the communication requirements. Implies consent to the processing of personal data by Rai Com and/or other companies within the RAI Group, according to the terms laid down in these Regulations, pursuant to articles 13 and 14 of Regulation (EU) no. 679/2016 and article 13 of Italian Legislative Decree no. 196/2003, as amended by Italian Legislative Decree no. 101 of 10 August 2018. Due to changes undergone in the organizational structure within Rai Com, its Chief Executive Officer replaces the President in the role of President of Cartoons on the Bay.